There are many opportunities for businesses to take positive action, to do things differently from the business as usual model. Big changes start with small steps. Motivate your team to change their everyday habits in favour of eco-friendly choices. Replace disposable coffee cups with reusable mugs, introduce a composting scheme for coffee grounds and food waste, add recycling bins to the office, prompt them to print less, and use a cloud-based document management system. They will feel motivated to do something useful for themselves and the planet. Having plants in your indoor environment will help clean the air and improve the general mood – and of course it will make the office look more welcoming. Encouraging your employees to take care of the plants will make them feel more responsible and involved. Why not introduce an element of competition? Growing edible plants can increase productivity, creativity and attentiveness in workers; put workers in touch with the seasons; build staff community; and encourage workers to optimise window ledges, balconies or outdoor space. Create a recycling culture within your team and if possible, give each of them a specific task to help recycling in the office. Some ideas could be installing and checking the usage of recycling bins, managing the printer by making sure everything gets printed double sided and printer cartridges gets refilled when necessary, collect used batteries and recycle them (even better switch to rechargeable batteries), reuse and repurpose packaging materials, and making sure the food waste is kept to a minimum. Giving flexible working conditions to your employees is another great step towards sustainability. For instance, working from home has considerable advantages both for employees and the environment – it will help them have a more productive workspace and it will cut down the carbon emission they would normally produce on their commute to work. Minimise paper waste as much as you can. This will not only help the environment but it will also save you money when using the office printer. Try and manage work activities such as reading reports, sending invitations, taking meeting notes and sending documents online. Having online meetings and conference calls also helps when it comes to reduce pollution and save money on travelling. You have to get your office cleaned regularly. So, instead of hiring a service that uses harsh chemicals that can have a negative effect on the environment, use one that focuses on healthy, sustainable green cleaning. Ensure that the cleaning chemicals they use are certified to contain no-Volatile Organic Chemicals (VOCs), and also that they are biodegradable. You should also prioritize selecting a service that uses sustainable products, e.g recycled toilet paper and microfibre towels. Consider limiting power usage at the office in order to reduce your energy consumption. Make sure to turn the lights off when you're not using a room or space, and consider putting lights on a dimmer so you can adjust them according to the brightness outside, or install motion sensors to control lighting. If you're based in a warehouse or other high-ceiling building, consider installing a stratification fan to ensure that you're not simply heating the roofspace. Ask your team to switch off their equipment overnight and shut everything down during long weekends and holiday periods. When buying new laptops and technology equipment for the office, make sure to do some research beforehand and choose the best energy efficient items within your price range. Once your equipment is out of use, recycle it to minimise landfill. Limiting power usage also has an added bonus: It can lower your electricity bill! Your team involvement is key to their retention. Motivate them to take part in eco-friendly initiatives such as managing the kitchen waste smartly, taking part in local and national initiatives and promote car-sharing. Establish a green champion and empower them to work with colleagues to bring forward their own ideas. You can also get creative with your team building activities – ever thought about organising a gardening workshop or a green week challenge for your team? Transport and energy costs are reduced considerably when you buy locally made products. Have you ever thought about where the tea and coffee you buy come from? By buying local products you will decrease production costs and you will support companies with a similar ethos to your own business. Consider formalising the buy local philosophy through a supply chain procurement strategy. Use a carbon calculator to understand your company footprint. Having a sustainable working environment also means saving financial resources that could be invested somewhere else within the business. Encourage your employees to share their ideas about how to save energy in the office and attract more socially-engaged customers. Make sure you reward the ones who have the best ideas – even better with something eco-friendly such as a plant or a reusable coffee mug. These are some general tips that you can take as an inspiration and adapt to your own workplace. By doing your best to improve your employee working conditions and your own work environment, you’ll be more likely to attract a stronger and more reliable workforce. How green are your business premises? 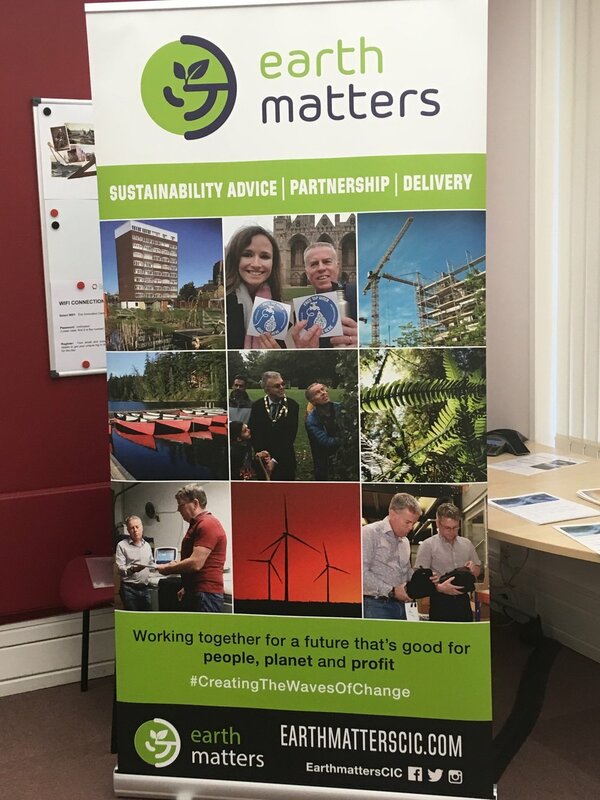 Call Earth Matters and let us carry out our Diagnostic Test highlight opportunities for you to make savings, increase profitability, and create benefits for people and planet. Don't miss the chance to tell your story! LCA is a well-established objective tool that enables organisations to quantify the environmental impacts of their processes, products or services throughout their life cycle, from the sourcing of raw materials, through the manufacture and distribution of products and on to their use and ultimate disposal. By identifying energy and materials used and wastes released, it offers opportunities to evaluate and implement measures to bring about environmental improvements. It is highly effective in the support of strategy development, performance improvement and commercial advantage. 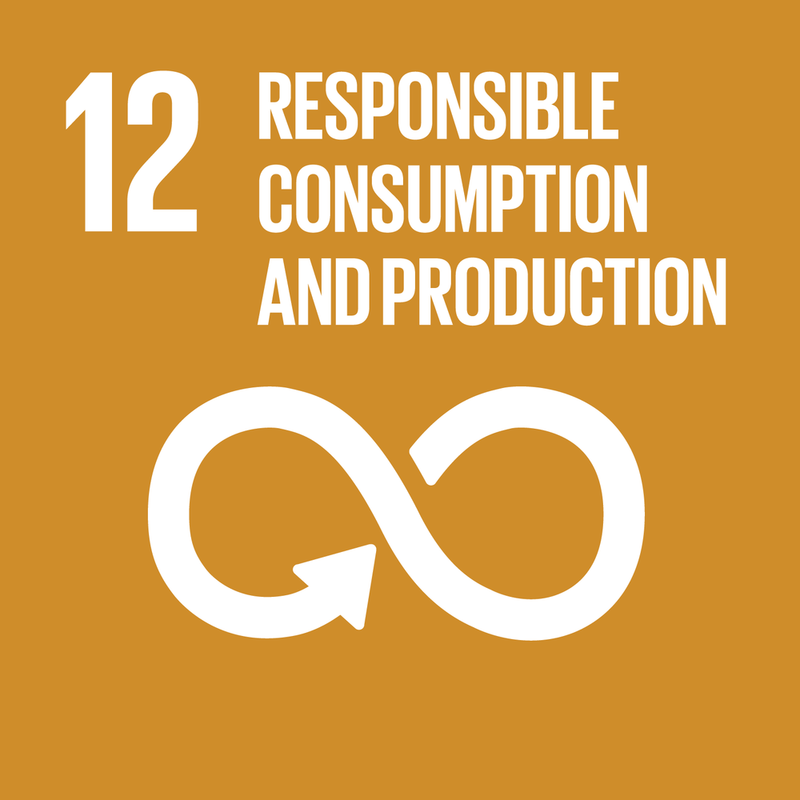 We need to look beyond the current linear model of production - where raw materials are extracted and processed into products that are sold, used and then discarded at the end of their 'useful life' (known as Take, Make and Dispose) - to a circular model - where materials, waste, energy use and emissions are minimised by slowing, narrowing and closing material and energy loops. Put simply, long-lasting design, maintenance, repair, reuse, re-manufacturing, refurbishing, and recycling: The Circular Economy. There's a world of opportunity to re-think and re-design the way we make stuff. 'Re-Thinking Progress' explores how through a change in perspective we can re-design the way our economy works - designing products that can be 'made to be made again' and powering the system with renewable energy. An Environmental Management System (EMS) provides a systematic way of identifying how your business has an impact on the environment. It can be used for managing those impacts, no matter your business' size or the sector you operate in. In addition, it helps to identify the environmental legal requirements for a business, something that's relevant to all organisations. A particularly important benefit is that it helps organisations to use resources more efficiently - reducing costs and risks, thereby making them more competitive. Beyond your own organisation, an EMS can help to green your supply chain through engagement with suppliers to purchase goods with fewer environmental impacts. It makes it easier to work with them to develop goods and services that are better for the environment. For example, contractual requirements can be set for suppliers to ensure that the goods they are purchasing meet the environmental requirements set within your EMS. The EMS may also help to set out environmental parameters for key purchases, e.g. property, electronic equipment, paper and consumables etc. The added value of a system it that it formalises policy and processes. Because it’s systematic, it helps to ensure that things aren’t missed. There's nothing wrong with an informal approach to begin with, and this is how many SMEs operate in the first instance; looking for environmental improvements prior to formalising some or all elements of a system in an EMS.